So here we are, cooking the world A-Z… and I come across this epic Irish cake. I make this adaptation and… just like that – my life is complete. I don’t have time to do my hair or makeup, but – I promise you – I’ll always have time for this cake. It’s rich and dark, like an Irish sky at midnight… brightened by sweet, sweet Bailey’s buttercream, which gilds everything like moonlight. The perfect pair. The perfect balance. Especially for breakfast. In my slippers. When no one is looking. (Possibly with a big cup of Irish coffee). Don’t worry – the alcohol cooks off, and the Bailey’s frosting? It simply contains the same amount of alcohol as you’d find in vanilla extract. So, go for it, take a bite of Irish nighttime. NOTE: You may find it easiest to bake the cake and do the frosting “crumb coat” one day, then the next day decorate it with the final layer of frosting. Update, March 2013: I added more powdered sugar to counterbalance all that butter. Yum, yum. Original recipe stated 3 cups powdered sugar; it now states 1 lb. Update, March 2014: Want to learn how to serve this cake in a beer mug? The trick is easier than you might imagine. Let’s create our Irish evening sky, layered and thick. Dark and sweet. Start off with one beautiful Irish landmark (for inspiration). Lay on your back and stare at the sky. Wait for nightfall. Then, preheat the oven to 350F. In a small saucepan, melt butter and whisk together with Guinness, vanilla extract and cocoa. Remove from heat. While the Guinness mixture is cooling, grease and line 2 eight inch cake pans with parchment paper. Next, whisk together the dry ingredients (sugar, flour, baking soda). Pour the Guinness mixture onto the dry ingredients, then whisk in the 2 eggs. When the batter is shiny and smooth, pour evenly into two prepared cake pans. Lick the bowl when no one is looking. Bake for 30-35 minutes, or until a skewer comes out clean. Meanwhile make the buttercream by whipping together the softened butter and sugar in a standing mixer, then adding in just enough Bailey’s to get it loose and fluffy. 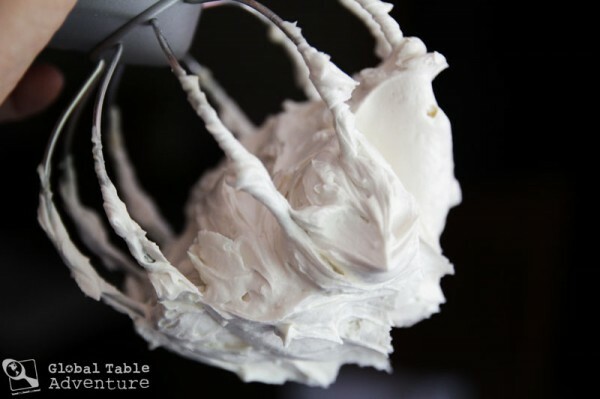 The key to white frosting is to whip it a long time – the longer you whip it, the whiter it will become. I whipped this for 5-10 minutes. I only needed 3 tablespoons Bailey’s. You know what to do with the extra. Once the cakes are done baking, cool completely. 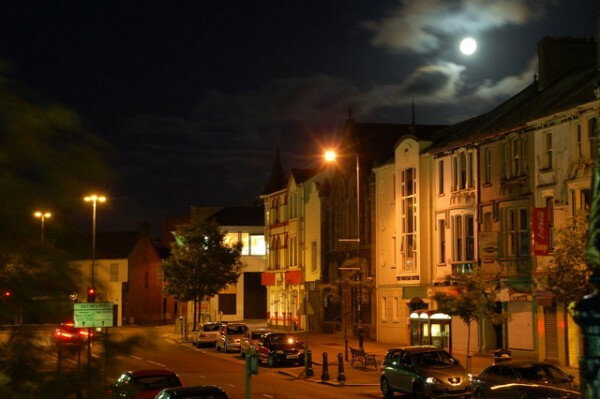 While you wait, take a walk along an Irish road at night. When you get home, windblown by the balmy summer air, assemble the cake (leveling the layers with a serrated knife, if needed). First, add the frosting for the middle layer. I used about 1/3 of the buttercream. Top with second layer. Wiggle them around until they line up just right. Next we’ll do a crumb coat. This is optional but highly recommended, so you don’t get brown crumbs in your white frosting (totally yucky). Coat top and sides with another 1/3 of the frosting mixture. Spread it all over, nice and thin. Refrigerate to set it. At this point, you can refrigerate the cake overnight. Easy, peasy. 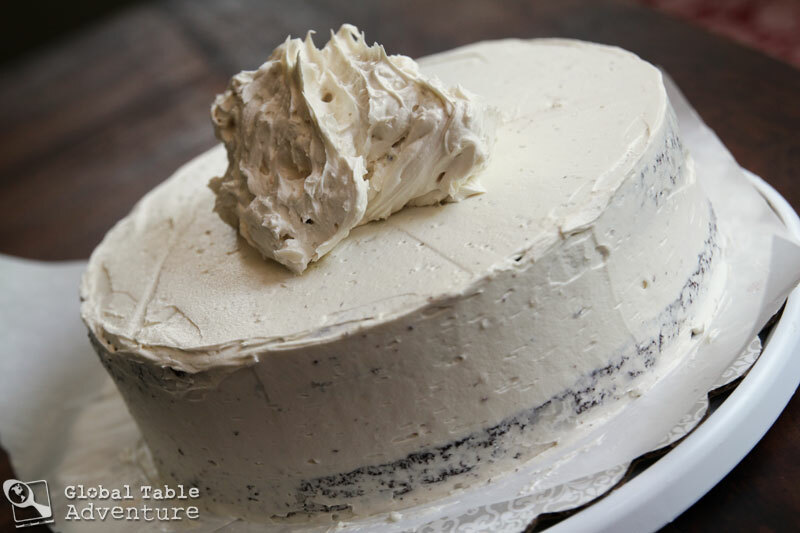 Once the crumb coat is firm to the touch, add the final 1/3 of the frosting to the cake – top first, then sides. Spread it around evenly. When you’re done, slice and serve with an extra cold Guinness. Or a glass of milk. Mmm. Milk and chocolate cake. Keep this cake in the refrigerator at all times, no matter what. Share with old friends, new friends, and not-yet friends. Don’t worry – the alcohol cooks off, and the Bailey’s frosting? It simply contains the same amount of alcohol as you’d find in vanilla extract. So, go for it, take a bite of Irish nighttime. 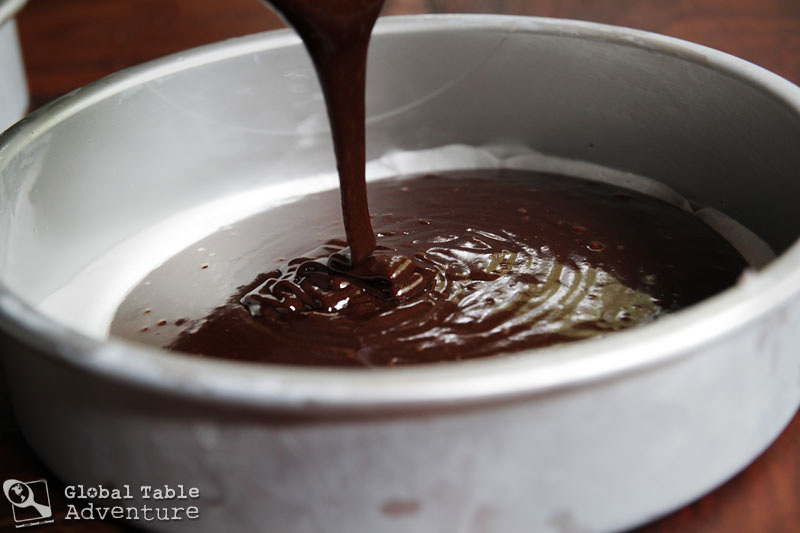 When the batter is shiny and smooth, pour evenly into two prepared cake pans. Meanwhile, make the buttercream by whipping together the softened butter and sugar in a standing mixer, then adding just enough Bailey's to get it loose and fluffy. They key to white frosting is to whip it a long time—the longer you whip it, the whiter it will become. I whipped this for 5-10 minutes. I only needed 3 tablespoons Bailey's. After they've cooled, assemble the cake (leveling the layers with a serrated knife, if needed). First, add the frosting for the middle layer. I used about 1/3 of the buttercream. Top with second layer. Wiggle them around until they line up just right. Next we'll do a crumb coat. This is optional, but highly recommended, so you don't get brown crumbs in your white frosting. Here's how it works. Coat top and sides with another 1/3 of the frosting mixture. Spread it all over, nice and thin. Refrigerate to set it. At this point, you can refrigerate the cake overnight. Once the crumb coat is firm to the touch, add the final 1/3 of the frosting to the cake—top first, then sides. Spread it around evenly. When you're done, slice and serve with an extra cod Guinness. Ha! I know what you mean! While there certainly is cosmetic magic going on, you can get pretty good results with this technique: run your knife under really hot water, wipe dry and slice. Do it again between every cut. This makes a huge difference because the buttercream melts instantly, instead of sticking to the knife, making for a smoother cut, with minimal smearing, if any. It’s the same thing people do for cheesecakes. you can also use dental floss to slice through cakes, it my aunt used to cut her cakes useing it. Bahaha, just make sure it’s not the mint flavoured kind! That would be NASTY. Professionals use light-weight fishing line to slice through cake; flawlessly. That is one stunning cake! 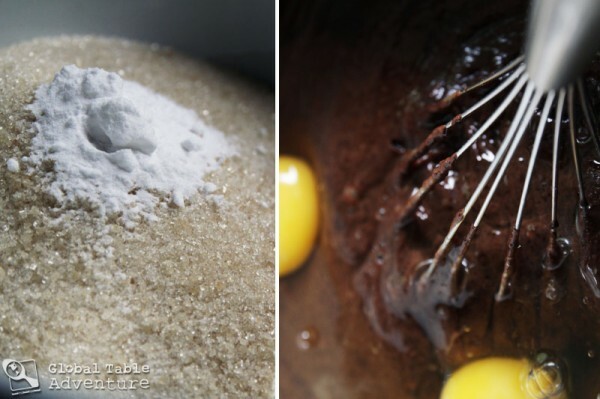 Having never made buttercream, I never realized there wasn’t anything other than butter and sugar. I guess I assumed there would be cream. Or is it because you put Bailey’s that you didn’t put any cream? Yes! That’s right – but I’m not a buttercream expert, I’m sure there’s other ways to get a nice texture. This one is easy to eat, though! This looks amazing! I want to bake another one again! So delicious. My recipe was pretty similar to yours except that I added yogurt. are you freaking kidding me?! i want that cake right now. you’re a genius. even if you didn’t “invent” this, you’re a genius and thanks for bringing it to my attention. bailey’s cream?! wow. i feel like i’m in your debt. HELP: When you say line with parchment paper…do you also mean the sides? or just the bottoms? Bottoms! Or you could always grease and dust with flour, if you don’t have any. hahaha…. Amanda..who is gonna buy the beer? but yes Sasha..this cake is picture perfect….beautiful makin! i just died and went to Ireland. Guinness and dark chocolate, seriously? Could it get any better? Yes, it could… add Bailey’s on top. That just looks unreal, Im from Ireland and i couldn’t be more proud of that :O but what does the Guinness actually do to the taste? Padhraig: Why thank you! To answer your question – the Guinness does the same thing espresso does – it deepens the chocolate flavor. So, when it’s right out of the oven you taste the Guinness, but the next day it absorbs in and it just makes for a greater depth of flavor, and isn’t as discernible. Hey there! This cake looks simply exquisite! I was wondering if the recipe would work if I substituted the butter in the cake (not the icing) with some fancy cooking oil that I’ve been itching to use. What do you think? When you say “keep this cake in the refrigerator at all times, no matter what” do you mean because the cake is so delicious that you always want it available or must the cake be refrigerated or else it will go bad? Because I want to make it for a party but the party is roughly an hour and a half away. Will the cake travel okay? As long as the air conditioning is on in the car? Thank you Michelle! I’m so happy you found our Adventure. As for the cupcakes – you should be good to go – just change the cooking time – take them out when an inserted toothpick comes out clean… maybe around 15-20 minutes (but you’ll have to see, as I haven’t done it myself …. yet!) Happy cooking! How timely! My son, his fiancee and I were talking cakes and I mentioned seeing something like this and suggested it as a wedding cake and cupcakes. The very next day this was shared on my fb wall by his fiancee!! (she “stumbled” on it) Now we’re going to try it for sure! My only concern is keeping it refrigerated, but nothing is impossible! The Guinness caught my eye when I Stumbled Upon this post, your intro paragraph had me swooning. It makes me want to fly to Ireland and have cake for breakfast. Great post! 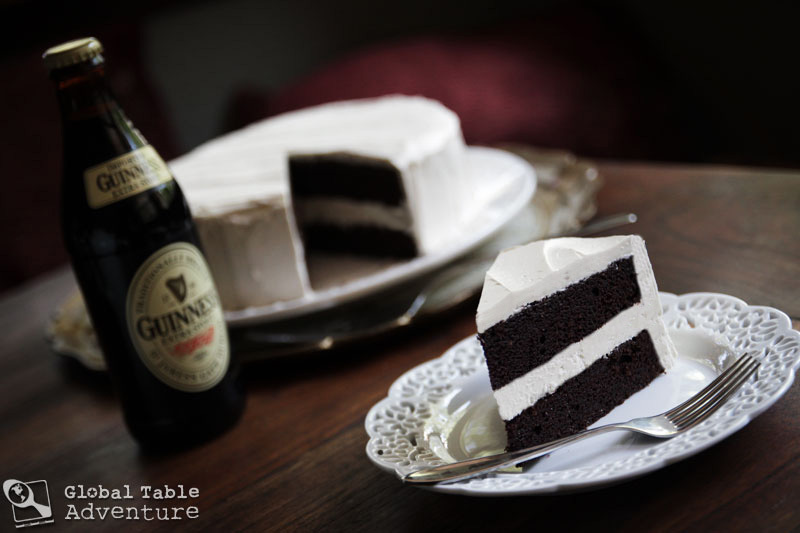 I don’t usually have Guinness in the house (or Bailey’s for that matter) but I really want to try this cake! I Stumbled Upon this recipe as well and could not resist. I just made it and am in heaven. Thank you, thank you, thank you! Also after finding this, I then proceeded to look at the rest of your site. I love your mission, your recipes, and your child. Haha kudos for the idea and best of luck for the remaining countries! I made this for tonight – pics are on my Lunches Fit For a Kid Facebook Page. Holy cow, Sasha. What a winner. Astounding. I can’t believe I’m going to make a cake. Thanks Sasha. Got u bookmarked and I look forward to more recipes. Thanks Craig! I’m glad to have you on the Adventure 🙂 Happy cooking! Love the sound of the cake & of course all things Irish. You mention “sticks” of butter but “down under”, here in Australia, we would say grams of butter. Could you please translate for me so I can make the cake & we can dream that we are visiting Ireland again. Dear gods and goddess of the TOR that looks amazing! 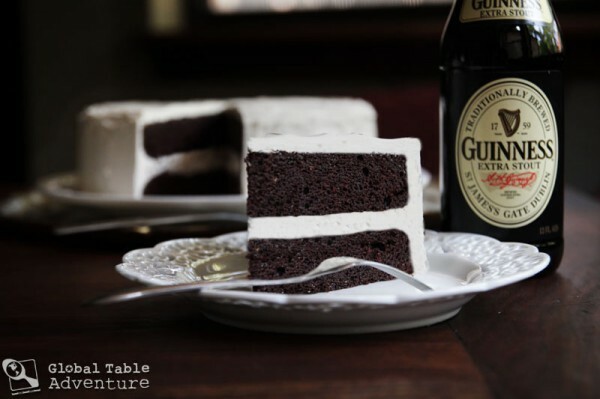 As I love Guiness AND Baileys, and dark chocolate, I must now make this cake. Thank you for the recipie and great pictures! Sounds wonderful – I will be making this for my wife and my friends! I love Guinness, and I love Baileys, so this is perfect. Just one thing: Bangor is in Northern Ireland, not the place where Guinness comes from (The Republic of Ireland). That doesn’t change how great this cake will be, though! I also noted you have taught your little one baby -sign language. I think that is grand, a way to communicate with a little one. Love it.. I wish we had the same wisdom so many years ago when my children were small. 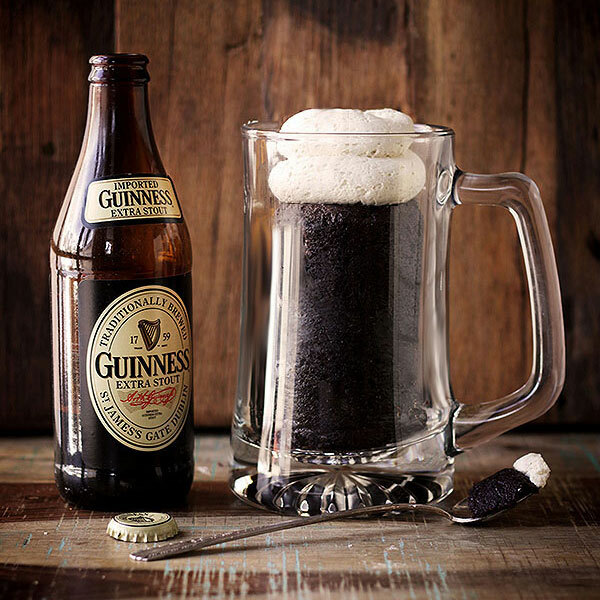 Out of curiosity–is it possible to use Guinness Draught instead of Guinness Extra Stout or will that change the flavor dramatically? I thought id already come back to tell you that I made this awesome cake but obviously i didnt! But yes, i DID make this cake for my birthday this year and utterly loveeddd it. It was so rich in the best possible way 🙂 Everyone that tried it adored it and thank you so much for the wonderful recipe and making my birthday a very happy day indeed 🙂 Heres my post about it if you ever fancy taking a look, thank you again! 10 out of 10 for looks alone!! Being Irish we always have some Baileys and Guinness lying around so we’ll be trying this very soon. Thanks for the great recipe!! just wanted to make a note that I checked my cakes for doneness after 20 minutes and the toothpick came out completely clean. I think 18 minutes would have been the perfect time to take out the cakes for me. Btw, everything looks fantastic! I’m licking the spatula with the frosting at this very moment! Bri – thanks for checking back in – you make a good point, everyone’s stoves are different, so it is important to check partway through the cooking to see how things are going, especially if you’re oven tends to run hot. Anyway, thanks for trying and hope you enjoyed! For you friends who’d like to experience Guinness up close and personal, we’ve brewed up a free St. Patrick’s day trip for two. No fuss, no muss, random drawing with one of the most highly respected travel experts in Ireland. And then visit the Guinness brewery. What a wonder! Thanks for the extra 2,00 calories, aand thanks for giving us the world. I made this cake this evening for dinner; it’s exquisite. Thank you for sharing this recipe! This is fantastic! Just what I needed for a going away party, thanks for the step by step instructions. Only problem I had was with the Icing (no mixer ;P) but a hand whisk works fairly well. 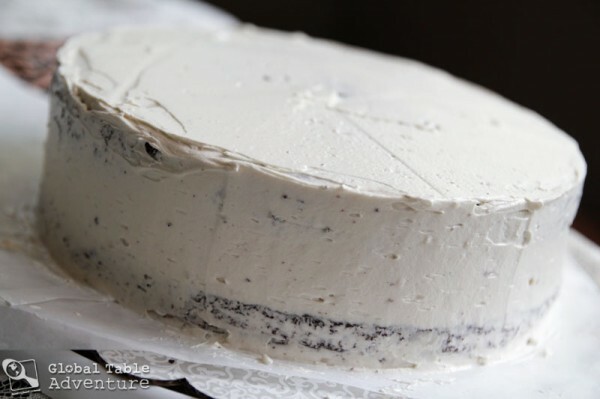 I’m making this cake for Thanksgiving and have a quick question regarding frosting – I intend to apply the crumb coat and then set the cake in the fridge for a day. Where should I store the rest of the icing, ie in the fridge or on the counter? I made this cake for my boyfriend’s 21st Birthday, and turned out brilliantly! You, are a beautiful woman for bringing this gorgeous cake to our attention! I made this cake for Christmas Eve and it was a huge hit, even with those who don’t normally like chocolate cake. I like the fact that the cake isn’t super sweet. Just heard you on NPR. You Rock! So does the photography of this cake. What a wonderful place to come for a vacation. This looks even better than it sounded on NPR. I certainly know what kind of cake I want for my birthday next month. Awesome! You made the right choice 🙂 Enjoy! Hey! Thank you so much, this recipe was awesome!!! The only question I have is there an easier way than lining the pans with paper? I feel like I did that wrong, because when I took the cooked cakes out there were like indents where I couldn’t get the square paper flush with the round pan. It still tasted great and I got the icing nice and fluffy, but I felt like maybe I could have just like crisco-d the pans instead or does that not work? Maybe I just missed something. Anyway thanks so much, it was a huge hit with my boyfriend and his family!!! I made the cake and it turned out awesome! This recipe is definitely a keeper. p.s. : I’ve never been able to get my frosting to a true “bright-white” color; it always looks yellowed. I’m assuming this is from the coloring from butter – do you have any suggestions for a whiter looking frosting? Yours looks positively stunning – I’m guessing that’s the camera work – or ….. Thanks for such a fabulous shot, recipe & share! Looks insanely delicious, and taken with a glass of bailey’s and a guinness, intoxicating! What do you think about leaving the cocoa powder out? Do you think it might taste nasty? Also, if I do that, would I just substitute 1:1 with flour then? Perhaps add a bit more (or a lot more vanilla)? Not sure what to do about the cocoa substitution – what about white chocolate powder? Apparently that’s not really chocolate (don’t trust me on this, though)??? Otherwise, you could try substituting 1:1 (but just whisk it in at the end, a little at a time and stop when it looks the consistency of regular cake batter. I’m guessing you won’t need to use the entire amount, since flour has high protein and gluten and will interact differently than cocoa). Good luck… wish I could be of more help! I hope it works out for you! Making the cake this weekend, with white chocolate. I’ll let you know if it’s disgusting or a new winning variation! Thanks for all your advice on this. I can’t wait to try this cake! 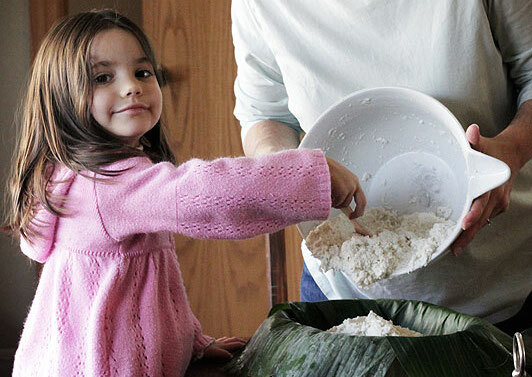 Making it for a St. Patrick’s Day dinner this weekend. I hope mine looks as beautiful as yours. I made this recipe for an early St Patricks Day morning tea at work today. It was the talk of the room. Everyone loved it. The flavor was amazing (and yes, I had to find out what a ‘stick’ of butter was, too! Thanks so much for sharing. I love this recipe!!! Thank you very much!! this is the first time i baked a chocolate cake with beer. It’s already very good withour the cream or frosting. the cake is super easy to make, moist, dark, rich and sweet… it is definitely a keeper!! Thank you again! I am inspired today, of all days, to make this cake for our dessert, after the corned beef & cabbage of course! Thanks so much, it looks heavenly! i’m 13 and i am making 4 of em’ for my party! Thx for the recipe. Looks yummy! I plan on making this tomorrow, but was wondering if the icing could be made with half butter and half shortening? Do you think it would throw the flavor off? I prefer butter myself, but you could probably use shortening… it’s worth a try! I made this into cupcake form- oh yummy. Thank you for the recipe! Made this cake today only left it in for 2 minutes and its dry!!! Im sad! Do you have any recommendations so this doesnt happen again? Check your oven temperature – yours might run hotter than mine… you can always remove it early if you need to. So sorry to hear this! Not only does this LOOK great but ir reads like something i dream about! One question…we prefer the sheet cake (9×13) to the layered…have you tried it this way? Or does this absolutely not work? Please? 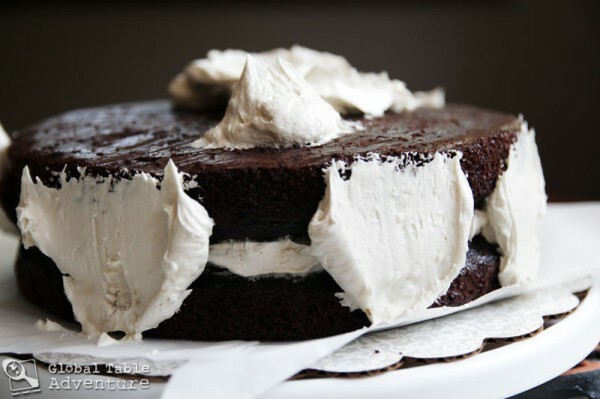 Making this cake right now! The recipe sounded too good to pass up. The batter and frosting are delicious. I couldn’t get my frosting white but that’s alright. One thing I do after baking layered cakes is once they cool down a little, but still warm, I wrap them with plastic cling wrap to finish cooling. It works for me. I keep them wrapped and put them in the fridge after they come to room temp. Until I am ready to frost them. Cold cake layers are wasier for me to frost and less ‘crummy’. I’m sorry but this cake was awful! I made it for my hubbys bday cuz he loves guiness and followed the directions exactly. 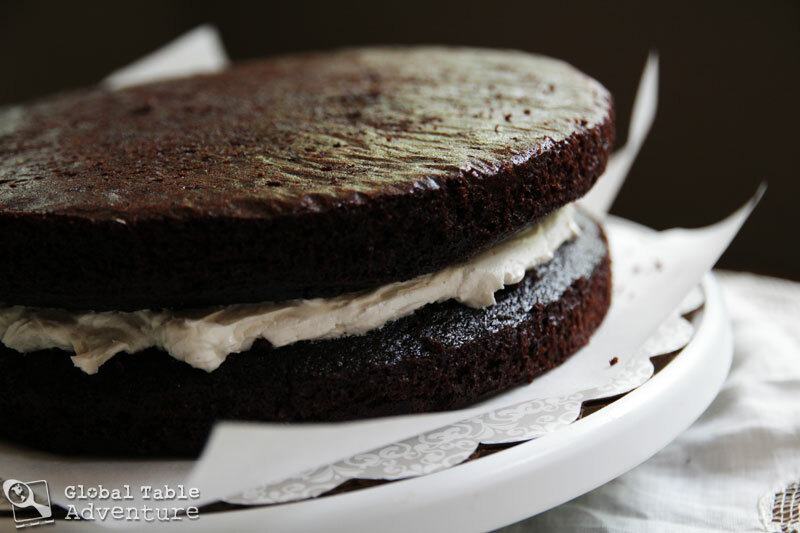 I am an avid baker and personally think that this cake was way too dry and frankly didn’t have a lot of flavor… on top of that, the buttercream was way too buttery. I will not make again! Next time I will try Nigella’s recipe. 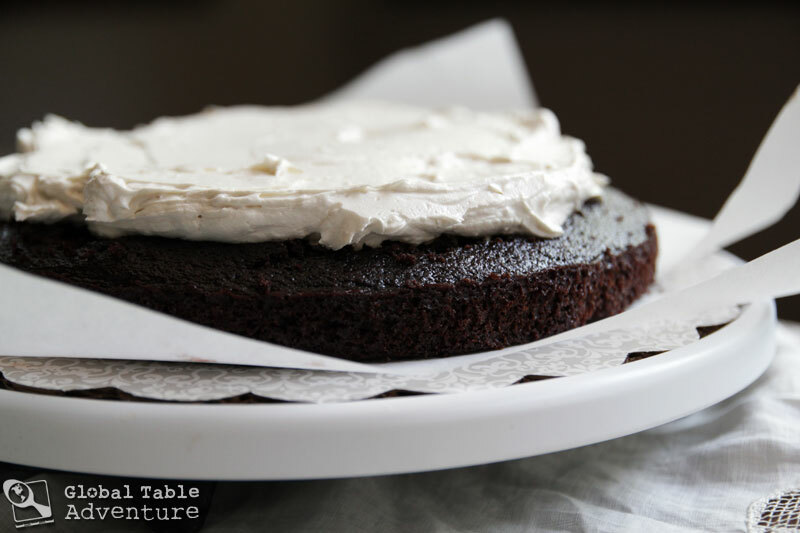 Nigella uses sour cream, this is a leaner cake for sure. Best of luck to you – sorry you didn’t get the results you were looking for. My daughter found this recipe here for me because I want to make a Guinness cake. I have a British friend who is a musician and I’ll be seeing him perform just a few days before his birthday. I’m going to attempt to make this recipe into cake balls, since those would be easier to transport to him. Have you made cake balls, and if so, do you have any tips? Thanks! Hi Morgan – As far as I know there are two ways to make cake balls. The original was “mush up cake with frosting and form into balls” – I only made them one time and that’s how I did it. Then came along the cake ball bakers (I’ve seen them at Bed Bath and Beyond, I think… this is a much nicer way to go if you can get one. If you do it the original way, like I did, I’d recommend wearing gloves. It’s very, very messy (but fun). Try bakerella.com for more tips – she’s the queen. Here’s her original recipe http://www.bakerella.com/hope-these-put-a-smile-on-your-face/ (I think my cake works out to be the equivalent of 2 cake mixes) I’d also make these up a day ahead to be as stress free as possible. Good luck and take pictures! I didn’t take any pictures, but the cake balls turned out beautifully! There were enough of them to split between my friend and the daughter who found your recipe (she volunteered to take the test batch for her birthday last week.) They traveled 15 hours by car quite well in a Gladware container, inside a cooler full of ice packs. My friend’s eyes lit up when I told him what kind of cake was in them, and he thanked me several times. I used plastic gloves to mix everything, which worked fine, but they were too thin and too big, so they were too awkward for actually rolling the balls. I froze the balls on a cookie sheet for a few minutes before coating them in chocolate almond bark. My daughter doesn’t like the white bark, but they would have been prettier with the contrasting color. Still, they were very tasty, and I’ve managed to hide a few in the back of my freezer! Thanks for the tips and the delicious recipe! 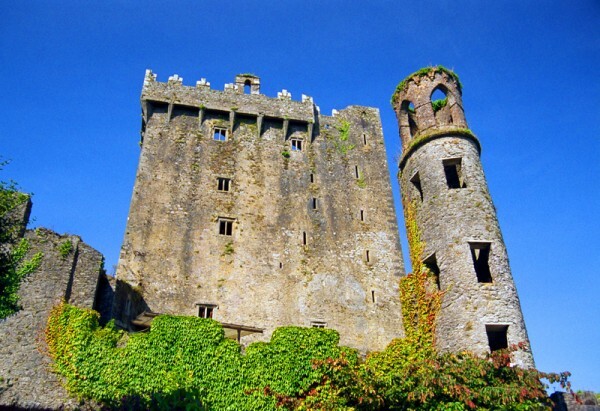 Wonderful Blarney Castle in Ireland! It's my favourite cake. I'm so thankful that you have this site! Looks fantastic!!! But Guinness is _always_ served warm (not “extra cold”). It’s much tastier that way! this is one of my favorite flavor combinations. to make it extra fabulous, add some irish whisky to chocolate ganache and add to the center filling. it is delightful. i am new to your blog. 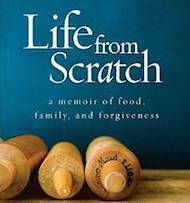 i wish i discoved it years ago- it is so fun to follow along with your research and recipes. thanks for all of the wonderful work that you’ve put into this! I made these this past weekend and it was a big winner with my crowd. The cake and butter cream complimented each other beautifully. The only thing I did differently was that I decided to make cupcakes instead of a cake. This recipe yielded 20 cupcakes (standard) for me. Thank you for sharing this recipe, very delicious! And 1 more thing I did differently, I only used 2 sticks of butter in my frosting. I made this for St. Patrick’s Day dessert yesterday. What a fabulous cake! My family (me included) devoured every scrap. Thanks for sharing! Found this recipe last year when I was looking for a birthday cake for my husbands 50th birthday. Wanted a recipe for a cake that spoke of his “roots” (his family has Irish background) and he loves beer, what better to do than make this cake that speaks of both! It was a big hit at the party with my family. I’m making it again this year for his 51st using Carolans Irish Cream instead for the icing instead of just a butter cream icing like last year. Hope it will be a hit with all his co-workers (birthday party after work for him and a co-worker) as it was with my family last year. Think this will become a yearly birthday cake for him. Hi! Finally got around to making this cake two years later. Just finished whipping the frosting (by hand, natch – no mixer right now), and thought I should let you know the cake is delicious with half the sugar. I ended up cutting it because I didn’t quite have enough. My intention was to substitute brown sugar until it tasted right, but there was no need. Thought I should update this. While the cake by itself was delicious with half the sugar, once it was frosted with the buttercream the sugar balance was off – the frosting kind of overwhelmed the cake. Someone else wondered if only reducing it by a fourth would have worked better, but either way I think the powdered sugar would also need reduced to make this work properly. It’s something I’ll play with in the future, maybe even doing an Irish Cream glaze instead of a buttercream (like you did with the Swiss carrot cake). I’m planning on making it again – would I be able to make it into cupcakes and then pipe the frosting on the top? Would I need to stiffen it with more icing sugar? It’s going to be end of mine day, except before ending I am reading this wonderful piece of writing to increase my knowledge. this site, as I experienced to reload the site many times previous to I could get it to load properly. Amazing, a Guinness and Bailey’s cake, I love it! I really have to try this recipe very soon. Pingback: Global Table Adventure | Make Saint Patrick’s Day even better: pour a mug of Guinness…cake! 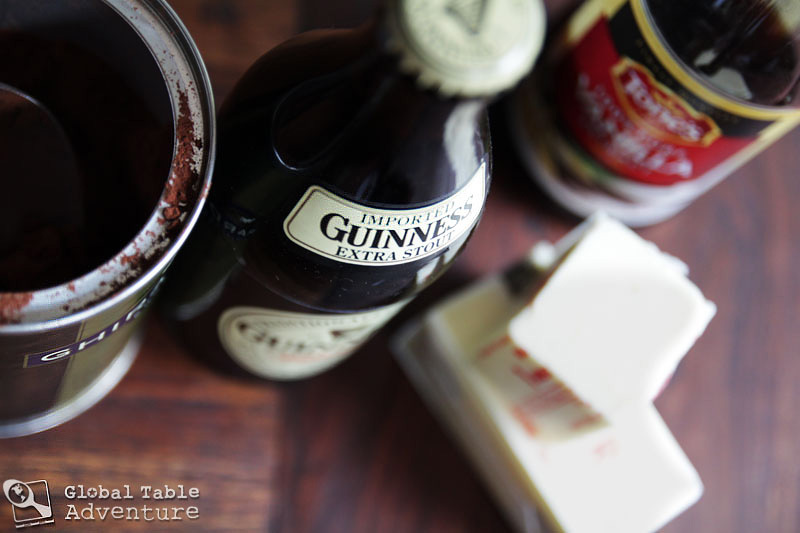 Pingback: Guinness cupcakes revisited — or, enjoying a rich and boozy cupcake | write meg! ok so i made this for st. patty’s day – this recipe was the irish car “bomb”!!!!! Turned out sooooooooooooo yummy. Def a keeper! Thanks !!! This cake is so amazing…so moist! I actually did it once with Guinness and then once with my husband’s homemade chocolate coffee stout. It tasted so good with his so I am thinking this would be really good made with an Irish Channel Stout as well. I made this yesterday to take to a friends house. It was a huge hit. The recipe was very easy to follow. I checked my cakes at 25 minutes and it was ready, but that was the only change. Thank you for posting this recipe, I can’t wait to try more. Just made this for son’s birthday. It is yum. Made this cake for St. Patrick’s day. One of my favorites! Going to tackle the German Tree cake next. 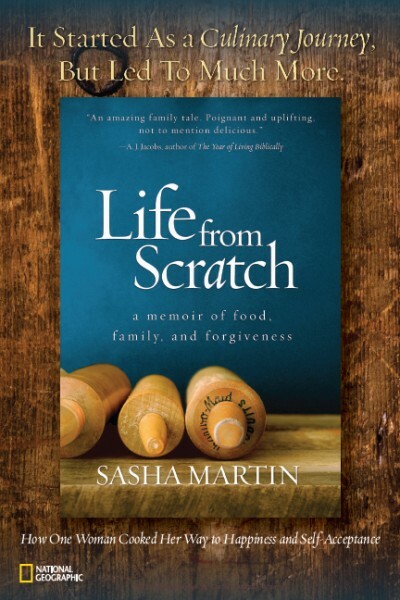 Thank you Sasha for the special recipes. This recipe brought so much joy to our Father’s Day celebration. We did the cake in mugs, and had enough left over to make a small cake on the side. The time spent with my children making this is priceless. It made this a special year. Thanks for the inspiration! Hi! This cake is fabulous! May I sub rum for the beer? Yep just cleaning out my pantry. Thanks!